We've made no bones about our deep-seated loathing for radical animal rights activists in the past — particularly those nuts at PETA who are willing to endanger others. We don't mind a calm discussion with those across the aisle, but there comes a point when enough is enough. While we often try to reasonably defend our position to antis who accuse us of murder, a recent news story demonstrates their incoherent hypocrisy. It's one thing to make your case with sanity and reason; it's another thing to break the law — and jeopardize the lives of people — just because you have a different opinion. The latest news story typifies this brand of violent anti-hunter, which comes straight from America's Dairyland. According to KSTP-TV in St. Paul, Minn., two Wisconsin duck hunters on private land literally came under fire from a man apparently enraged that the hunters had been shooting ducks. Check out the video from KSTP-TV. The trouble started Sunday morning, when hunters Levi Johnson and David Reichenberger made their way to a spot on private land, which they had permission to hunt. After shooting a couple of mallards from their canoe and anticipating a good day to follow, they heard another gunshot nearby. Apparently, 64-year-old Van Hawkinson — a complete stranger to the men — was so upset at the hunters' actions, he grabbed his .410 and headed into the woods, firing a couple blasts and yelling at them. "He went off on a rant about how we shouldn't be here, we should be in Afghanistan if we were gonna shoot something," Johnson told reporters. Hawkinson openly admitted to taking the Joe Biden approach — dangerous as it may be — with the hunters. "For a moment there, I got angry and was hurt," Hawkinson said. "I jumped in the vehicle, took a .410 with me, what's that gonna do? I shot out at the corn field up in the air. I had my weapon like so ... I'm an animal lover and bird lover. I don't like to see things die, especially for the sport of killing." Understandably, Barron County (Wis.) deputies showed up and arrested Hawkinson, charging him with dangerous use of a weapon and disorderly conduct. He spent a night in jail, then posted $1,000 bond. For exhibiting horrible firearms negligence that could have injured or killed someone, trespassing and harassing hunters — see WI ST 29.083 — Hawkinson basically got a slap on the wrist from law enforcement, Reichenberger said. "He got nothing for basically trying to kill us," Reichenberger said. "How is it you can shoot at somebody and the next day get out of jail?" It's a fair question, but Barron County District Attorney Angela Beranek said Hawkinson has been prosecuted according to the facts of the case. The arrest report provided by the Barron County Sheriff's Department states Hawkinson admitted to firing his shotgun, but that he aimed it at a 45-degree angle and said he was trying to scare ducks away. 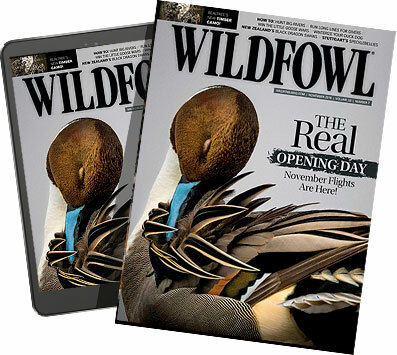 "Our office can only prosecute cases based on the facts of each case and the criminal statutes we have," Beranek said in an email to WILDFOWL, pointing out hunter harassment is a civil matter, not criminal. "The facts have to meet the elements of the crime(s). All I can tell you is the facts of this case fit the elements of the crimes being charged. Of course, if the facts were different, then different charges could and would be considered."